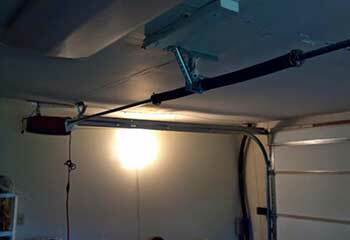 If you find yourself facing some type of problem with your garage door, or if you're interested in upgrading to a new, more secure and technologically advanced system, we can help. Find out more by taking a look at our latest projects below. Customer Issue: The remote control became unpredictable, working sometimes but not doing anything other times. Our Solution: When an inspection of the remote control’s buttons, battery chamber, and programming revealed nothing wrong, our team looked at the opener and found that it had a damaged antenna. They replaced it with a new one, and the problem was solved. 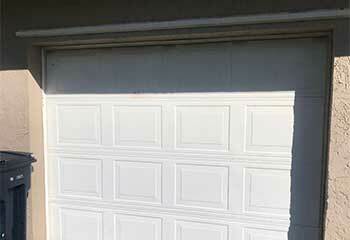 Customer Issue: Garage door increasingly difficult and heavy to operate. Our Solution: Our technician inspected the system and found that one of the springs was broken and needed to be replaced. After replacing the spring and reconnecting the opener, the door operated smoothly and the opener no longer seemed to be struggling. Customer Issue: Panel with hole in it. Our Solution: Upon inspecting the panel, we decided the best solution was to replace it. We got a matching model and got straight to work. The door looked as if nothing ever happened by the end of the day! Customer Issue: Rollers needed to be replaced. 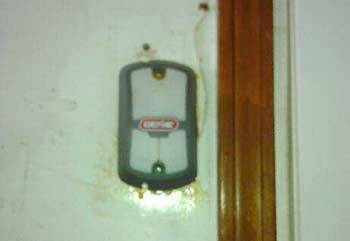 Our Solution: Upon arrival, we quickly spotted the issue. The rollers were in a fairly bad condition, and one of them was just about to break. 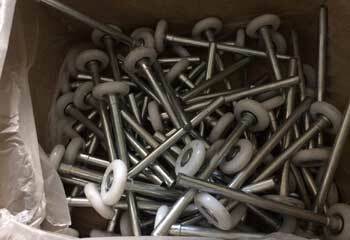 We replaced them with new ball bearing rollers and the door now opens smoothly and quietly.